New for 2014, we’d like to introduce you to the Team Fly Halo Edition Parajet Volution. We worked exclusively with Parajet to bring our customers something special and we think they nailed it! This unit is only available to customers of Team Fly Halo, just something special we want to pass onto you for being apart of the Team. 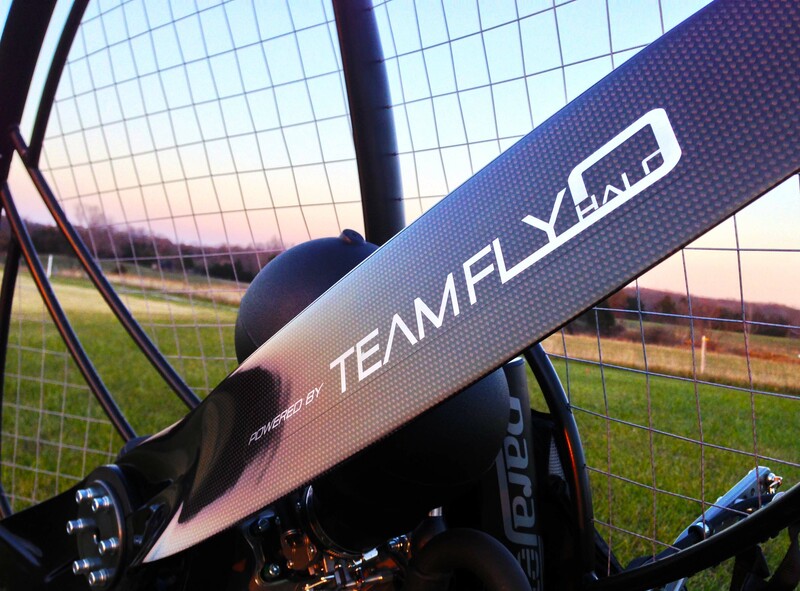 – Matte Black Finish – Gunmetal Swing Arms – Gunmetal PJ Throttle – Gray Cage Netting -Team Fly Halo Edition logo -Powered By Fly Halo Helix Prop Our edition is available with the paramotor engine of your choice. The Vittorazi Moster is outfitted on the unit pictured above. There are no additional costs passed onto customers for this special edition unit. For more information on the Parajet Volution, please visit – Parajet Volution page.